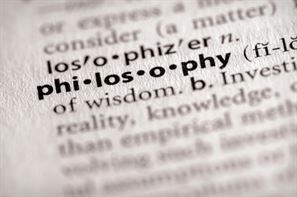 The term philosophy was introduced by the Greek thinker Pythagoras. Philosophy is a subject that delves deep into general and fundamental issues related to existence, knowledge, reason, mind and language. You will study both Indian and Western and understand the relation between reality and experience. So if you are thinking of making a career in Philosophy, then know that you will need to encompass your common sense at all times and be aware as well. Philosophy is one of those subjects which offer one too many choices to the students opting for it. Philosophy as a subject will make you understand the existing issues. The subjects in the philosophy course will include politics, logic, ethics and religion. The course is designed so that the students are instilled with a thought process of their own during the course of their education in the field. There are also quite a number of opportunities present in the working world today for students from this field. You will be presented with the option of joining education, government, non-profit sectors once you complete your education in this field. There are a number of benefits of studying the subject, as a Philosopher will develop reasoned arguments, will communicate effectively; also will have the ability to speak, think and write more clearly. Philosophers are known to have more creative and original solutions to problems and can easily analyze complex problems as well as examine problems systematically. Also, philosophers tend to learn to be empathetic and also understand related disciplines. In order to be eligible for admission to a bachelor’s degree, one must clear his/her higher secondary school certificate education from a recognized college. The duration for bachelor’s course is three years. The eligibility criterion for admission master’s course in Philosophy is holding a bachelor’s degree in any stream. The duration of the master’s course is mostly two years. The people from this field are mostly paid well. While a person starting their career in the field can expect Rs. 10,000- 15,000 but be assured that as you gather experience with time your salary will increase considerably.